What is it that makes Italian food so unique? Well, it's exceptionally varied and every area in Italy has its own specialties. The North tends to use more cream, butter and parmigiano cheese while the south prefer to use olive oil, dried pasta, mozzarella and pecorino (sheep milk) cheeses. The pizza bases in Rome are very thin while the Sicilian pizzas are much thicker. Don't worry about making a mess, as it can be quite hard to eat gracefully when in Rome! No one cares if you've dribbles of spaghetti or toppings of floppy pizzas around your chin! Just be sure to dab it off when the meal is over! Breakfast - the most important meal of the day? The Romans don't agree! It's not really a big thing in Rome but instead; they make lunch the main meal of the day. They normally keep breakfast light with your typical morning fare consisting of a cappuccino, some sort of sweet pastry or just a shot of espresso coffee. Breakfast usually isn't eaten at home; instead Romans pop into one of the many coffee shops that line the city's streets. Romans see lunch as the big meal! A typical meal begins with an antipasto - this is a type of starter, which can be hot or cold. Then you'll have a primo piatto, which is a first course. Rice, risotto, pasta or other carbohydrates are popular choices! The secondo piatto is your second and main course, with meat or fish being the main constituent. It's said that veal, pork and chicken are the most popular among Rome's citizens. This second course is usually served with a side dish consisting of either vegetables or a salad and then fresh fruit. This side dish is called the contorno. Sometimes a light dessert is had after the secondo. The Italian word for dessert is dolce. The meal is brought to a close with a coffee - caffe - or a strong liqueur. Dinner was never a big thing but now it's similar to lunches. It's never eaten before 8.30 and you'll often see people sitting down to a four course meal as late as eleven o clock! Most of us are familiar with the Italian specialities pizza, spaghetti alla carbonara and even lasagne. All of these have been adopted into the western world but only in Italy itself will you get the authentic taste of these! Be sure to enjoy pizza from one of Romes array of top pizzerias. A typical Roman menu contains the essential bruschetta, which is grilled bread cut into finger sized slices and is marinated in fine olive oil and garlic. There are many classic pasta dishes such as spaghetti bolognese, bucatini all'amatriciana and bucatini cacao e pepe. Choosing what you want from the restaurants menu will be the hardest decision. My advice is to go for something different, after all it's not everyday that you're in Rome! If your can't tell your chardonnay from your sauvignon blanc, I can't think of a better place to introduce yourself to wine than Rome. Italy has the best variety of Vino, ranging through nearly every colour, flavour and style imaginable. From well known Chiantis to rustic Pinot Grigio's, Italy's wine's are renowned to be the finest in the world. For Italians themselves wine is food and no mealtime is complete without a glass of a fine white to accompany foul and fish, or maybe a sultry red to add to the flavour of a well seasoned pasta. Italians waiters are among the finest in the world and will be glad to give you a taste of various wines before you choose which one you'd like to have to accompany your meal. And, if you're going to be really adventurous, why not enjoy a dessert of red wine and a selection of fine Italian cheeses, like Bel Paese, Gorgonzola and Romano. Wondering where to dine? Well Rome has loads of restaurants to choose form so you'll be spoilt for choice here! If you see a place packed with locals, you know it'll be good, as the Italians love their food! You'll find a lot of restaurants are quite expensive, most commonly in the popular tourist areas like Piazza Navona and the Pantheon. If you're on a budget, avoid these as they are over priced and the food is just as good in other areas of the city. On the other hand, there are many decent and reasonably priced eateries near by. The most popular areas being Campo dei Fiori, Trastevere, Via di Tor Millina (you'll find it just off Piazza Navona) and Via del Goveno Vecchio. Popular restaurants include the Papa Re restaurant located in the Trastevere area (it boasts genuine recipes from Rome) or Dar Poeta, who're renowned for their pizzas. If your looking for a vegetarian option, Marguta Vegetarian Restaurant is extremely popular and it is located at the corner of the Via Margutta. If all you want is a tasty authentic pizza and a beer altogether it'll cost about �15. If your dining Italian style, your typical three course meal can vary in price - it all depends on where you eat. At a midrange restaurant, a three course meal could cost about �30 and in a top restaurant the price ranges from �50 upwards. Tipping is not essential - it's your own choice but the least you can do is round up the bill. The Italians usually don't leave a tip but the tourists are expected to (about 5% of your bill in pizzerias and 10% in top restaurants). The opening hours vary from restaurant to restaurant and waiting for a table is not unusual! The best way to get a table is by arriving before 8.30pm or later than 10pm. Restaurants tend to open for dinner at about 9pm but in tourist's areas, doors' opening at 7pm is a common practice. Lunches are the main meal of the day and normally served from about 12.30pm to about 3pm. So now you've read this article you should be ready to face Romes restaurants! A big part of your holiday in Rome will consist of consuming superb foods and gorgeous wine! Remember the most important thing is to choose foods you like to eat while embracing Roman tradition at the same time. Whatever your individual interests are when visiting Rome; you're guaranteed to come across a restaurant that you'll love! Ciao! Visit PlacesToStay.com to book a wide range of carefully selected hotels in Ireland, Europe and throughout the world at great value prices! Heading to Rome soon? Then check out our Rome Hotels page for a comprehensive range of budget, mid range and luxury hotels in Rome. Rome is one of the best-loved and most beautiful tourist destinations in the world and a visit to this city will give tourists a chance to visit some of the best museums, architectural wonders, churches and parks in Europe. There are a number of different sights and activities across the city which can be enjoyed by both adults and children alike. Here is a guide to help visitors to Rome plan a family holiday. If you are travelling to Rome with young children or elderly people, it is important to keep in mind any special needs they may have. This is especially important when choosing accommodation in Rome. There are many hotels across the city that are suitable for children that have many extra facilities like children's beds, play areas and day care centres or nannies available. Another factor to consider when travelling with families is food. While there are a number of restaurants around Rome that cater to different budgets and provide excellent meals, you may have to do some research before hand on the different types of restaurants near your hotel if you are travelling with children or with elderly people who have special dietary requirements. It might also be a good idea to find a hotel or vacation rental that allows self catering. The main attractions in Rome are architectural in nature, and when travelling with children, it is a good idea to plan the day ahead of time. Visiting the tourist attractions early in the morning, or at times when the crowds are smaller is a good idea, since it will allow you more time to enjoy the sights while not getting caught up with the many groups of people. When you are choosing accommodation for a family holiday, it is also a good idea to stay in a place that has easy access to a number of attractions, which will allow you to cut down on travel time. Some of the most important sites in Rome are the Spanish Steps, the Coliseum, the Pantheon, the Campi dei Fiori, the Piazza Navona, Saint Peter's Basilica and the Roman Forum. In addition to this, there are many museums and galleries across the city. Visitors to Rome will also be able to enjoy the many concerts, shows and theatrical displays put up from time to time. You could also take your family to one of the many gardens in Rome and have a picnic. The Temple of Hadrian, Hadrian's wall, the Piazza del Popolo and some of the temples in the area are also worth visiting. James works in the travel industry and works with Rome family accommodation and Vacation Guides. Da Gino - The Da Gino restaurant offers regional food cooked to a good standard. The music from the gazebo and the authentic roman vibe means that this restaurant is a cultural experience and ideal for that mid day meal amidst the site seeing. Il Bacaro - The quietness and calm outside this restaurant make it hard to believe that it is only a few minutes walk away from some of the largest tourist attractions in Rome. Situated down a side street and under a marvellous vine tree, the Il Bacaro is a wonderful place if you enjoy food which has been prepared directly for you. Don't be fooled by the reasonably low levels of custom inside, the food is delightful and deserving of a more prominent spot. La Rosetta - One of the original fish restaurants to be opened in Rome, you can be sure that all items on the menu at La Rosetta have been prepared using years of experience. A real treat for the seafood lover and a nice way for those who are not sure about this type of menu to dabble in its delights. La Rosetta has received acclaim in various international publications....and for good reason. Pizzeria Il Leoncino - It would be a shame to visit Rome, or Italy in general, without experiencing one of the countries signature dishes. Pizza is one of Italy's most successful exports, but you can't beat the taste of a fresh cooked pizza in an Italian restaurant. At Pizzeria Il Leoncino you can experience genuine Roman pizza for a pleasantly low price in what can be an expensive area. Otello alla Concordia - Reliable is often a word used to describe this characteristic side street restaurant, so those of you looking for that safe bet, look no further. Choose between a seat inside or move outside under the arbour-covered courtyard and select from the variety of traditional Roman dishes. James spends a lot of time in Rome, Italy and especially loves the local foods and wines. James also promotes Pantheon apartments and Spanish Steps accommodation for tourists in Italy. There's no need to worry that you will miss the best Paris has to offer when this guide shows you how to see it all in only 48 hours. Paris is a city of many faces, the narrow streets contain hidden jewels of patisseries, bars and Parisian café culture that have attracted visitors for centuries. One of the best places to begin your day is at the Arc De Triomphe, the largest roundabout in France's capital and one of the most hazardous in the world. No insurance company will cover a vehicle travelling around it, as twelve roads feed into the circle with no clear road markings an and even less clear is who has right of way. Rome is one place that is known all over the world for its rich history and spectacular architecture. Many tourists come to this part of Italy and stay in holiday rentals. There are some truly amazing holiday villas and self catering holiday apartments that can be rented in this part of Italy as self catering holiday homes. 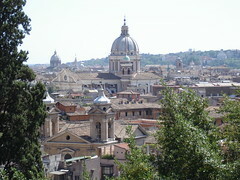 Rome is capital city of Lazio and Italy and is the most populated one as well. 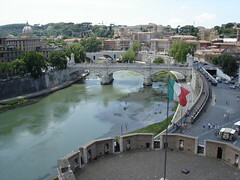 It is situated in the western- central portion of the Italian peninsula over the River Tiber. One of the best example of modern architecture in Rome is, on my opinion, the Renzo Piano's "Auditorium Parco della Musica", a large multi-function public music complex. Unfortunately, this wonderful construction is located out of the historic centre, in the north side of Rome, so tourists generally miss it. Opened in 2002, Auditorium Parco della Musica combines architectural innovation with perfect acoustics. The complex is composed of three separate enormous bug-like halls whose forms are inspired by musical instruments. A fourth concert hall is the open air theater evoking Greco-Roman theaters. 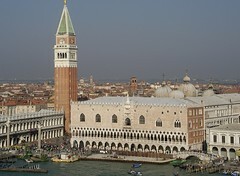 Canals, gondoliers, romance, swaying buildings and mystery persons wearing painted masks. This guide will help you get behind the mask of Venice in just 48 hours. Providing you haven't spent the better part of the day trying to locate your accommodation you may find some time after checking in to do some exploring. One of the first things you will notice is no traffic. Vehicles are restricted to the last piece of solid ground near the train station, Piazzale Roma. This is where the bus terminal and public carparks are located and where your journey begins. Portugal is very popular for their cuisine, which makes this country a very popular travel destination. In the 15th century, the Age of Discovery greatly impacted cooking in Portugal. Cinnamon and curry power were very popular ingredients brought to Portugal during this time. Prior to the Age of Discovery, many other cultures were bringing various ingredients to Portugal. The Romans introduced wheat, onions, garlic, olives, and grapes to the country of Portugal. The Moors were the first to plant rice in Portugal. They also introduced figs, lemons, oranges, and almonds within the country as well. The fountain is at the juncture of three roads (tre vie). It marks the terminal point of the 'modern' Acqua Vergine. One of the ancient aqueducts that supplied water to ancient Rome, stretched 22 km (14 miles) away from the city. This aqueduct (Aqua Virgo) also fed water into the Baths of Agrippa. It served Rome for more than four hundred years. Numerous alterations were made as the centuries passed. In 1629 Pope Urban VIII, thought the earlier fountain was losing its beauty and asked Bernini to sketch and give the fountain a new definite, monumental form. When the Pope died the project was shelved! You have just 2 full days to see and experience all Barcelona has to offer. It sounds like mission impossible but you can do this wonderful vibrant city in just 48 hours with the help of this guide. The main streets of Barcelona are wide and long, criss-crossing the city taking you off in new directions and new sensations. Spend some time familiarising yourself with Las Ramblas and the top of Plaça de Catalunya. You could spend hours on the Ramblas alone, taking in the unique stalls selling everything from newspapers, to birds, to reptiles, to flowers and rabbits. Then there are the street performers, colourful characters that pose, mime, sing, dance and juggle for the passing crowds. Halfway down is the La Boqueria market. A total sensory overload of smell, colour and taste. This is a great place to pick up a few items for breakfast or just a snack. Fruit, vegetables, meat, fish and sweets are stacked high over a huge area. At the bottom of Las Ramblas is the port. This has been extensively redeveloped with the huge Maremagnum complex. By day it is a shoppers paradise and by night becomes the hub for touristy bars and nightclubs. There are many different types of travelers. One type of traveler is the avid shopper. If you love to shop, then you are probably looking for the best travel destination to shop in. One great place to fulfill all of your shopping needs is Paris, France. 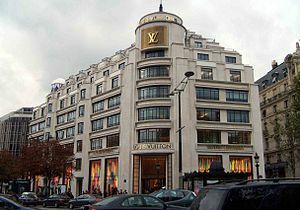 If you love high fashion designer items, the first place you want to check out of course is Louis Vuitton. Louis Vuitton is a very famous brand worldwide. The brand is most famous for their luggage and purses. However, they also have clothing and accessories. All of their products are truly exquisite. For two cities within a city Berlin has so much culture, history and nightlife to experience 48 hours hardly seems adequate. This guide will help to give you the most out of it in a short space of time. For close to 300 years Berlin has been the centre point in almost every modern historical European conflict. Unless you are familiar with the orchestrations of the Franco-Prussian War, the establishment of the first German Empire, World War I, World War II, the Cold War and the reunification, not to mention the figures behind the events, the weight of the history alone can seem totally overwhelming. A room with a view is the dream for most holiday makers. Whether you want to escape and wonder over stunning valley landscapes, culture rich cities or breath taking beaches, there are a wide range of accommodation options which will offer the view for you. Whether you stay during winter or summer, the French Alps provide a beautiful backdrop to your holiday property. Providing you with various activities during any month, you not only get a stunning view but a chance to try out skiing, hiking or even rock climbing. Most of the chalets available will provide you with private balconies so you can take in your surroundings even better, or enjoy drinks under a clear sky, overlooking the mountain tops. Over look the winding street, crowd filled markets and Italian vineyards, from a private apartment or rural villa. Central Rome is packed full of rich Italian culture, where you can explore the Colosseum and art museums, all of which are in easy access from stylish apartments. However if you want to escape the hustle and bustle of the centre, Rome's outskirts spoil you with rustic and remote Italian homes. The outskirts include places such a Lazio and the Latina Province. Surround yourself with beauty that is Italian and you will be enchanted. 1). Agata & Romeo:Is a family based restaurant that has been around for three generations serving traditional local Roman cuisine. Its large collection of different types of wine to delicious. Romeo is an expert sommelier (more than 1500 labels in his cellar), he can help you select the appropriate wine to best match your desired meal. Agata is the chef known for her delicious unique recipes of her traditional Roman dishes. 2). Checchino da 1887:This is another perfect example of traditional Roman food with a more wide variety and taste. Try the veal hearts with artichokes or oxtail stew. These are highly recommended by everyone. Don't be scared by this, they are also very good in serving the finger-licking homemade pasta, and salads. Desserts are a must have! Winning the Champions League Final is now seen by Europe's top teams as the ultimate prize. No longer is winning the domestic title enough for the likes of the big four in the English Premier League, or the leading clubs participating in Spain, Italy and the rest of Europe. Much is at stake, reputation, glory and money and this season's Champions League has been nothing if not controversial. Now the climax that most neutrals have wanted is imminent; Manchester United will take on Barcelona in Rome on May 27th in the 2009 Champions league Final. The Spanish Steps in Italian it's called "Scalinata". These are famous set of steps in one of the most well known areas of Rome. Despite of its name, the famous Spanish Steps were actually built by the French. The monumental stairway of 138 steps, "Scalinata di Spagna" or "Spanish Steps" were constructed between 1723 and 1725 with French diplomat Étienne Gueffier. They can be easily found and recognized at the Piazza di Spagna square rectangle like shape. The Piazza di Spagna is one of the most popular tourist sites in Rome. The Scalinata is without a doubt the longest and widest staircase in all Europe. Is it possible? Yes. This guide gives you the low-down on how to see all the major landmarks and places of interest of Western Europe's largest cosmopolitan city in only 48 hours. It is possible to get acquainted with London relatively quickly. Arm yourself with an A-Z map book, the pocket version is perfectly adequate, a travel card, a good pair of walking shoes and London is yours to discover. Start from somewhere central such as St James's Park station and you can get around some of the major city sights as they are within easy walking distance of each other. You are already in the heart of Westminster. Straight ahead lies St James's Park, the lake in the centre casts a viewpoint left up towards Buckingham Palace and right towards Whitehall. Every morning at 11am the Queen's regiments perform the Changing of the Guard ceremony at the Wellington Barracks. They begin by warming up the band and marching the troops around the parade ground before heading over to the palace. They are joined by the Horse Guard coming up the Mall from St James's Palace.